I watched the CNBC television show, “Blue Collar Millionaires” over the summer. A good show, episodes (rightly) hammer home the point that America provides tons of great small business opportunities for entrepreneurs who don’t mind working with tools or coming home with a little dirt on their clothing. The show has gotten me thinking, though, about something else. 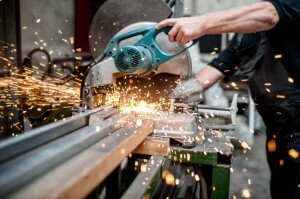 Which is this: How profitable a blue collar business do you need in order to justify an S corporation? Fortunately, if you’ve got a blue collar business, or really any small business, you can answer this question by looking (briefly) at the cost of an S corporation and then at the typical benefits an S corporation delivers. I’m going to try and help you do this here by talking about the costs to set up a small “blue collar” S corporation. And by also looking at the impact of Subchapter S status on three example businesses. One business making $40,000 a year, another business making $80,000 a year, and a third making $120,000 a year. Okay, just to get this awkward bit out there first, probably you will pay at least a few hundred dollars to set up an S corporation and then pay one to two thousand dollars a year to operate the S corporation. Another cost to consider: Operating an S corporation does bump your annual accounting costs in a couple of areas. You will pay a few hundred dollars in additional payroll taxes for unemployment insurance to either your state or to the IRS. 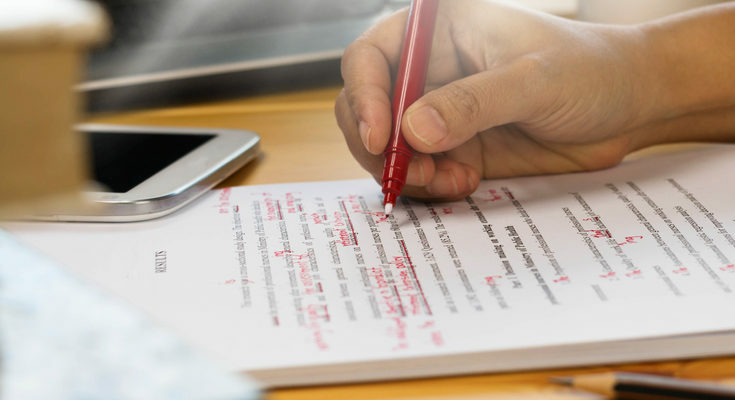 You’ll also probably need to pay a CPA or enrolled agent a thousand dollars or so to prepare the more complicated, new, corporate tax return you need. In summary, then, an S corporation costs a few hundred bucks at least to set up. And it’s easy to find yourself paying maybe $1,500 in extra annual accounting costs. The question, then, is when does a blue collar business save money by operating as an S corporation? Let’s look at a really common case first—the case where a small business makes a profit to the owner of $40,000. Note that this might be a business with $50,000 in revenues and $10,000 in expenses, because $50,000 minus $10,000 equals $40,000. Or this might be a $400,000 business with $360,000 in expenses, because $400,000 minus $360,000 equals $40,000. 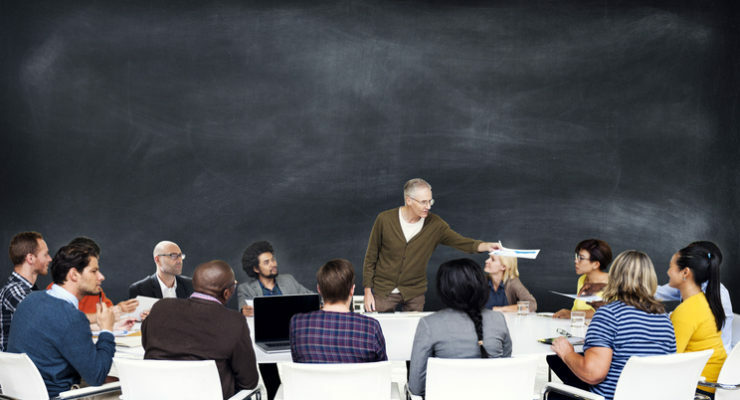 Can an S corporation work in a situation like this? Well, it’s tricky. And here’s why. If a business operates as a sole proprietorship and makes $40,000 in owner profits, the proprietor pays a 15.3% self-employment tax on the $40,000. Note: The actual self-employment tax formula is a little bit complicated because for purposes of the formula, you adjust the profit number for half of the self-employment taxes. But you can ignore this complexity for purposes of our discussion. So in the $40,000-in-profits scenario, the business owner may pay a few hundred dollars to set up the S corporation. 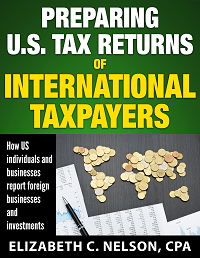 He or she may pay, gosh, $1,500 a year in extra taxes and CPA fees to operate as an S corporation. And then because the owner needs to take all of the $40,000 of profits as wages, he or she will still pay that 15.3% tax on all of the business profits. In this scenario, probably, the S corporation doesn’t work to save the entrepreneur payroll taxes. Sorry. Okay, what about a situation where the business generates $80,000 in profits for the owner? Well, oddly enough, even though this situation doesn’t seem that radically different from the $40,000-in-profits business—this may simply be the same business five years farther down the road—this business probably can save money. In a situation where a small business earns $80,000 in profits and operates as a sole proprietorship, the owner pays that 15.3% self-employment tax on roughly $80,000. When you work out the actual tax bill, due to the formula complexities mentioned earlier, the actual self-employment tax bill will be a little less than $12,000. But here’s the deal: The typical S corporation pays its shareholder-employee $40,000 a year in wages. And if $40,000 is the reasonable “wages” number, the business owner will only pay the 15.3% tax on this $40,000 chunk of the profits. That’ll equal roughly $6,000. In this case, the business owner saves nearly $6,000 a year in payroll taxes. The bottom-line? 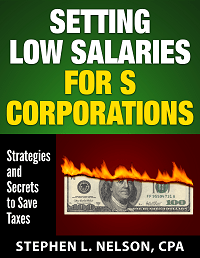 Even if the corporation costs a few hundred dollars to set up and costs (say) $1,500 a year to operate, probably the S corporation option begins to look attractive. Note, too, that in a situation where a fifty-fifty split between “wages” and “non-wages” doesn’t work because $40,000 in wages isn’t reasonable, a clever accounting can still produce nearly $6,000 of savings. I’m going to talk more about this in the next section, but mechanically, amounts a shareholder-employee receives for health insurance, health savings accounts, and pension plan contributions such as a SEP-IRA either count as wages but aren’t subject to the 15.3% tax or they reduce the “non-wages” amount the IRS gets cranky about. With a $120,000-in-profits small business, the tax savings associated with an S corporation often become irresistible. If such a small business pays its owner $40,000 in “wages,” that means he or she saves paying the 15.3% tax on roughly $80,000 of additional business profits and therefore enjoys nearly $12,000 in annual payroll tax savings. Clearly, spending a few hundred bucks and maybe $1,500 a year to annually save nearly $12,000 in payroll taxes is a great deal. In fact, quite honestly, this scenario produces such giant savings, it’s probably a little suspect. Or worse. Remember the rule of S corporation compensation mentioned earlier: Your S corporation needs to pay you reasonable wages. However, even a $40,000-ish in base wages scenario might in many situations work. You want to confer with your CPA about this, but here’s an example of how a $120,000-in-profits small, blue collar business might be able to save nearly $12,000 annually in payroll taxes. Suppose the base salary you pay yourself equals $42,000. Further, suppose that your corporation pays $10,000 a year for your family’s health insurance and also makes a roughly $8,000 health savings account contribution. In this case, only the $42,000 base salary gets subjected to the 15.3% payroll tax… yet the health insurance and health savings account amounts count as wages, too. With these numbers, you might enjoy roughly $75,000 in wages and tax-free fringe benefits, which may be enough to qualify as “reasonable.” Yet only $42,000 will be subject to the 15.3% payroll tax. And then note that you still have another $45,000 in leftover profits in this case on which you have avoided the 15.3% payroll tax. This is the chunk of business profits the IRS may want to talk to you about… but it very possibly might not cause the IRS any problems. You may, for example, leave some of this money in the business to fund growth—and the IRS won’t care about not collecting the 15.3% tax on that reinvested profit. And then you should be able to draw some money out of the business as “non-wages” just because the shareholders should be entitled to a return on their investment. Can I share some quick, random caveats and comments in closing? Good. Second, you will need to do a couple of “paperwork” tasks after you get your LLC or corporation set up: First, get your new LLC or corporation an employer identification number (something I describe here). And, second, formally elect to Subchapter S status (something I describe here). Third, I’ve got another blog post here that describes how to avoid state-level payroll taxes in a handful of states. You probably want to peek at that. Fourth, if you’re a Washington state S corporation, check out this checklist for a first-year Washington state S corporation. Are You a Small Business Owner Looking to Reduce Taxes? 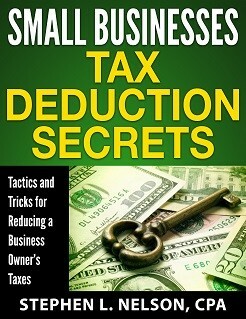 Small business owners often don’t do a good job with maximizing their legitimate tax deductions. For example, business owners usually don’t go to the effort of structuring their operations to protect legitimate deductions, to create new deductions and to recycle (or double-deduct) the deductions which can be used more than once to save taxes. Which is really too bad. Getting disciplined and smart about small business tax deductions can save businesses and their owners a bundle in taxes. If you’re thinking maybe you can do a better job with your tax deductions, consider downloading our $40 e-book, Small Businesses Tax Deduction Secrets. 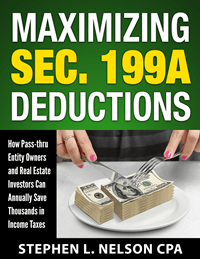 This short e-book provides detailed instructions about how business owners can annually save thousands or even tens of thousands of dollars in income and related taxes simply by more effectively using legitimate small business tax deductions. is the amount in Box 1 in W-2 ALL that the IRS looks at when determining if S Corporation XYZ is paying its shareholder a reasonable salary? If not Box 1 alone, is the entire W-2 what the IRS looks at in order to determine if reasonable compensation is being paid? Regs and court cases say you have to pay reasonable compensation. If you pay a lot of tax-free fringe benefits, that should create compensation would means the box 1 value can be lower. E.g., if someone pays themselves an $80K base plus $20K of health insurance (which goes in box 1 but not in box 3 and box 5) and then does a 25% SEP-IRA match on the sum ($80 plus $20K), I think your compensation is $125K… and that’s going to be reasonable in most situations. BTW, just to play with this even a bit more, if you paid yourself $100K (which at times has sort of seemed to be Warren Buffet’s salary?) and you add $20K for health insurance (which isn’t taxed) and then you do a 25% match which adds another $30K of pension, you’re earning and paying FICA and Medicare on $100K but taking another $50K of tax-free benefits, and gosh, if it’s true Warren Buffet has paid himself $100K to run his business, you should be able to pay yourself $100K in wages and $50K in fringe benefits to run your small business. I recall reading of a WAC in Washington state that results in personal protection against the debts of the LLC but, interestingly enough, the reverse is not true. I believe it is one of the few, if not only, state in the union that has such a law. Something to consider when forming an LLC. Any insight is much appreciated!! !